Marc’s mission is to help people like you become leaner, stronger, more confident versions of themselves. It all begins with lifting weights, pushing yourself hard, and developing a rock solid body and mind. He owns Weight Training Is The Way and is a health and fitness writer for leading websites including Mind Body Green, The Good Men Project and Healthgreatness.com. Marc's not a fan of the typical bodybuilding advice and helps men and women develop lean, athletic, awesome bodies – rather than big, bulky physiques. His mission is to help as many people as possible go from being self-conscious, unfit, unhealthy and weak…to strong, lean, confident and achieving what they never thought they could in the gym. This book is bargain priced from 05/23/2015 until 06/04/2015 Check book price before you buy, as prices can change due to expiration of the sale or other technical issues. In 2000 A.D., the author experienced physical eye trauma to one eye resulting in an injury that was compounded by an erroneous medical prescription designed to treat the injury. The combined trauma and damage caused by the prescription drug resulted in severely limited vision in his injured eye. Unable to accept the result of this injury, he embarked on a mission to overcome it. As a result of the damage he sustained, he had the opportunity to interact with accomplished doctors in many prestigious universities and institutions. He participated in events and seminars that only doctors were invited to and engaged in all available rehabilitation. He researched and sought all information, studies, and associated work on vision impairment and restoration that he could get his hands on. One important observation of his journey was the adherence of most of the vision industry to the medical model of healing. This failed model takes a general approach to correcting vision problems by mitigating symptoms without offering any solution to the underlying disorder. One important discovery of this journey was the field of sequencing neurosensory and neuromuscular activities that are individually prescribed to develop, rehabilitate, and enhance visual skills and information processing. This field is also referred to as vision therapy. The author’s journey resulted in the restoration of his vision. The restoration of the vision of others that he shared these concepts with motivated him to develop his own “Vision Therapy System” that he now shares with you in this book. Author is 44 years old average office desk guy with busy private life and no time for the gym. He is Kettlebells beginner, but he managed to lose weight by eating only Superfoods and he managed to keep his low weight for more than 5 years. And he managed to make his body stronger and less stiff with Kettlebells. Just click on “Look Inside” and see the Superfoods and Kettlebells body transformation. “Superfoods Today – 14 Days Detox” explains why you should stop eating processed foods and switch to everyday gluten free Superfoods like avocado, olive oil, broccoli, kale, salmon, flax seeds, garlic, ginger, quinoa, berries, organic chicken etc. Author switched to Superfoods in 2009, lost over 80 pounds and kept that weight since then. If you yo-yoed your weight in the past, this book will describe why processed foods are disrupting your hormones, why 80% yo-yo their weight after diet and why you can’t lose weight for good. In a nutshell, it’s all about processed foods and famous hormones trio (Leptin, Ghrelin and Insulin). Sugar and refined carbs in processed foods drive insulin, cause inflamations and disturb your hormones. Insulin drives fat, inflammations drive leptin resistance and that nmeans that your obtain doesn’t hear information that body has enough fat. Stop Global Public Health Crisis! Google Superfoods Manifesto! How Can You Go Wrong With Superfoods-only Diet? A renowned physician and medical scientist reveals the secrets of heart disease—uncovered through 50 years of clinical investigation—that have revolutionized current management of heart disease and may eliminate it in the future. Richly illustrated with individual patient and experimental details, the book also weaves in the dramatic story of the development of the first drug approved specifically for African Americans, and how politics and misguided accusations of racism have tragically inhibited widespread use of this life-saving therapy. This 7-day meal plan contains ketogenic recipes with high fat, low carbs and moderate protein. 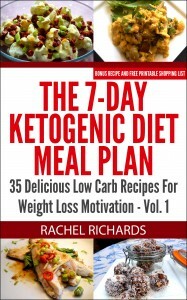 By reducing carbohydates in the diet, a ketogenic diet turns the body into a fat burning furnace. These delicious meals will help keep your diet plan on track. 50 Fitness Tips You Wish You Knew is collection of the best tips and strategies developed from over nine years of research and experimentation for hacking the mind and body for more motivation, better health, and a leaner body – which can be done without needing a lot of time, money, or willpower. These tips aren’t the usual tips you’ll find in the “everyday” health and fitness books that often rehash the same old common sense advice we’ve heard a million times before. Instead, it comes from someone who’s “been there and done that” and has taken out all the fluff to reveal only the best of the best tips you probably haven’t heard anywhere else. 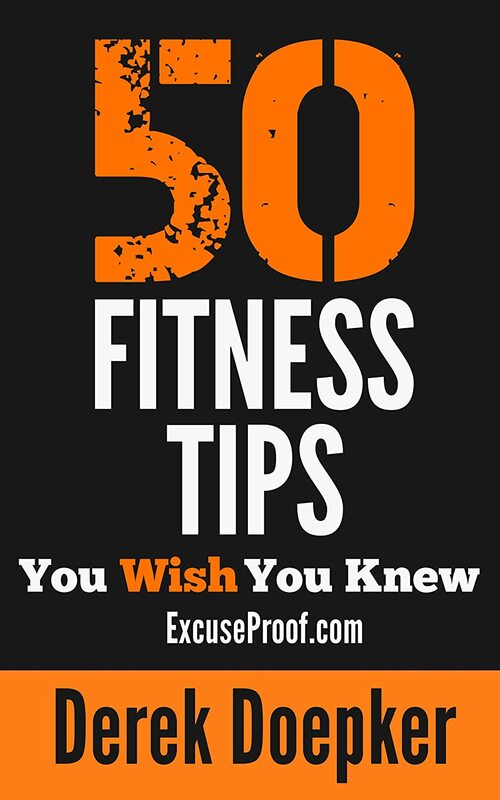 Whether you wish you knew a way to get more motivated to stick to your fitness resolutions permanently, wish you knew a way to make healthy meals from scratch in less time than it takes to order fast food, or wish you knew a way to get better results with your exercise routine in half the time, you’ll find all of these little known tricks and more in 50 Fitness Tips You Wish You Knew. 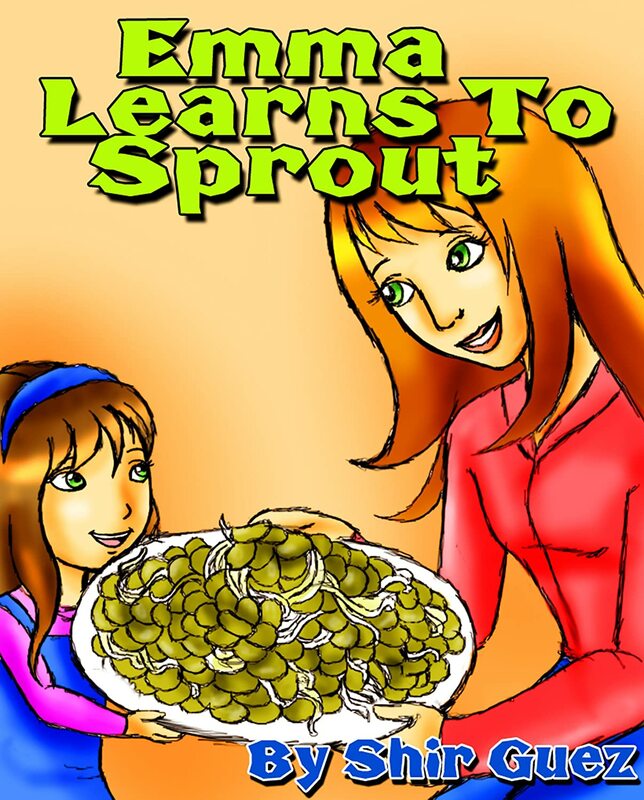 “Emma learns to sprout” is a lovely pictures book which describes in a simple and enjoyable way and with fantastic illustrations how Emma, a kindergartener, learns to sprout legumes with her mom. Sprouting is a great way to provide your children with more vitamins, minerals and other nutrients in a fun, quick, simple and cheap way! It doesn’t require anything but basic dishes that are available in every kitchen. Sprouting makes favorite foods healthier, and the legumes’ sprouts can be used raw in a salad or as a snack, and they also make a great alternative in any recipes that contain legumes. In addition to its enormous health benefits, sprouting makes a great parent-child activity. It’s also good to know that sprouting makes legumes easier to digest. Therefore, it may help those who have a problem digesting legumes. * According to the USDA database, sprouted legumes contains dozens and even hundreds percentages more of vitamins, minerals and other nutrients per calorie than legumes that weren’t sprouted.